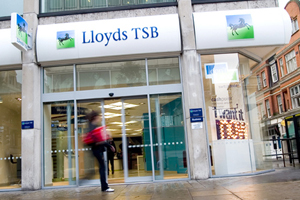 Lloyds Banking Group has handed Compass Group a contract worth around £100m for catering services covering corporate hospitality, meetings and staff events at 78 UK sites. Compass has been working with Lloyds for 14 years while US-based competitor Aramark catered for HBOS. But following the merger of the two banks last year, a pitch took place for the consolidated account. The pitch was won by the Compass Group's Eurest division, which specialises in catering for business and industry. Compass Group head of media relations Chris King said: "They decided to have a single caterer and we got the contract, which is a very good win." It is the latest in a number of account wins this year for Compass, including the Welsh Rugby Union (WRU), Mercedes-Benz World and Jockey Club Racecourses. Business analysts predict that the company will reveal a significant rise in profits when its full-year results are published this week. According to a report in The Sunday Times, pre-tax profits are expected to rise from £566m in 2008 to £766m in 2009.